Tulip is a grassy bulbous perennial of Liliáceae family. Tulip is ambisexual (with rare exceptions). 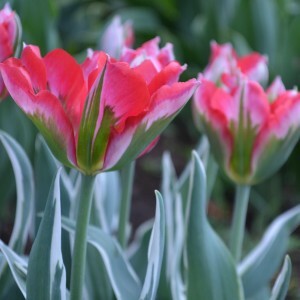 Tulips leaves are lanceolate, extended, with warm grey shade and wax bloom. Plant stem is erect. The bulb serves for vegetative reproduction and contains nutrients necessary for fast growth.